Our agriculture division offers crop nutrients, crop protection, animal nutrition, seed, and grain services! Our energy division provides propane, refined fuels, lubricants, an automotive repair center and Cenex conversions. 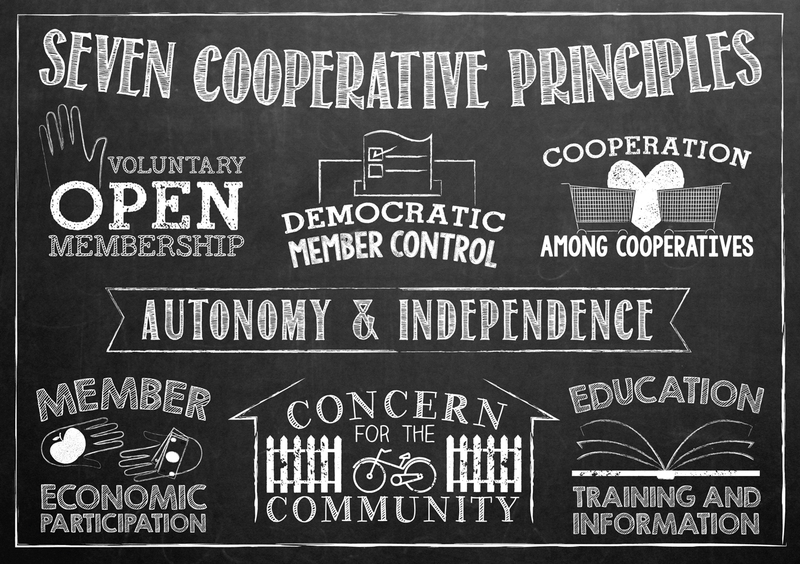 Farmers cooperatives abide by a standard of seven principles. These standards ensure the best member experience for all. We do more than sell things. We make sure our customers are proud to do business with us. A major part of the farmers cooperative difference is the fact that we return a portion of our earnings to customers each year! We give money back as a combination of stock and cash. Buying from us literally pays…with money in your pocket each September! The Medford Cooperative company signed the articles of organization on March 31, 1911, making it among the oldest cooperatives in the state of Wisconsin. Like the formation of many cooperatives, it was envisioned that by buying cooperatively, the availability of goods and services could be assured. A concept of a company owned by the people, for the people. During its history, expansion and development of the Medford Cooperative has taken place frequently. In 1981 the Medford Co-operative Company and the Stetsonville Farmers Union Co-op consolidated to form the Medford Cooperative, Inc.
A new feed mill was built in 1984. The mill was one of the first in Central Wisconsin to contain a computerized grain measuring system and state-of-the-art equipment to provide custom blending for our producers. In 1989 the supermarket opened in its new location in the Medford Plaza and in December of 1989 the hardware department joined them. These two departments, all under one roof, now provide over 73,000 square feet of shopping space for our customers. In the spring of 2009, the Medford Cooperative purchased land and a building located on Highway 13, remodeled the building, and in September of 2009, opened the Center which houses a Convenience Store, along with additional retail space. The Medford Cooperative currently employs over 200 people and has annual sales in excess of $75,000,000. Our employees range in age from 16 to 70 years of age and are the greatest asset within the company. The Medford Cooperative is proud of the staff for their product knowledge, willingness to “go the extra mile” and friendly service. Keeping in mind the concept of cooperatives being owned by the patrons, it is important to remember when you support your co-op, you help your neighbors, your friends and, most of all, you help yourself. We will continue to grow and work together toward the future.That’s what sets our farmers co op apart from the rest. Medford Cooperative Cares is a group run by our employees to give back. Our employees participate in local charitable events by volunteering time and raising funds. Our donation selection committee meets regularly to review requests for company funds. Over the past 5 years, our farmers co op donated over $225,000 to more than 500 causes throughout our territory! Want to request a donation for your organization? or email it to us at info@medfordcoop.com.